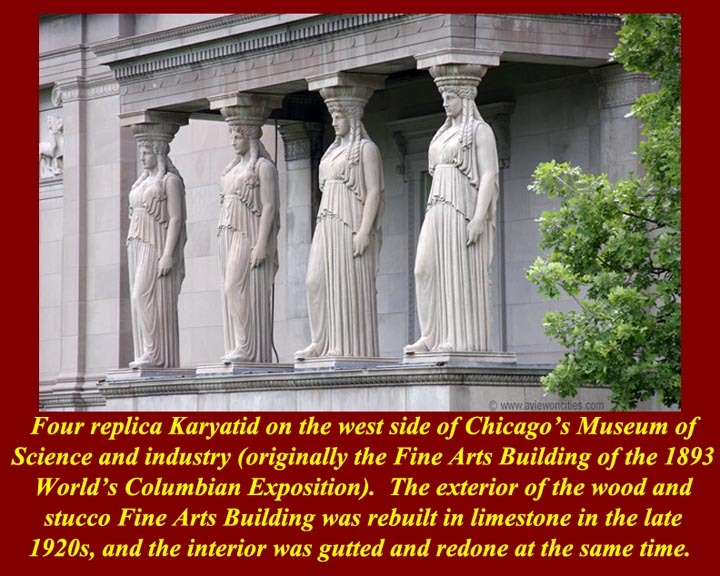 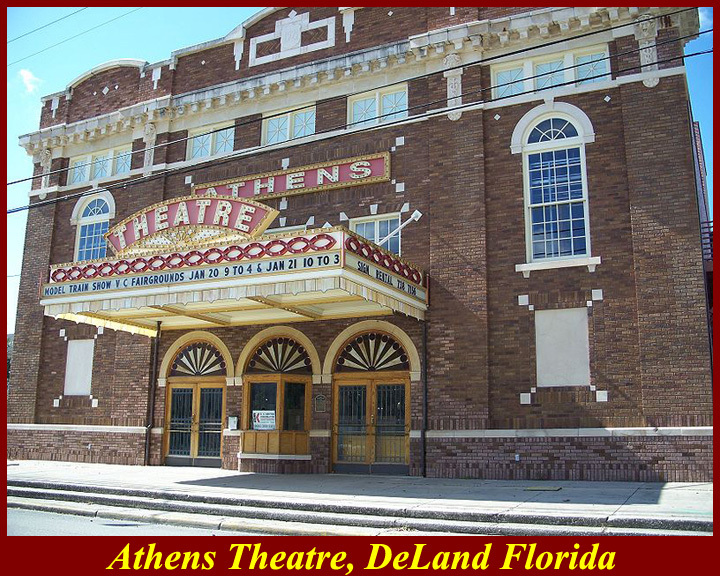 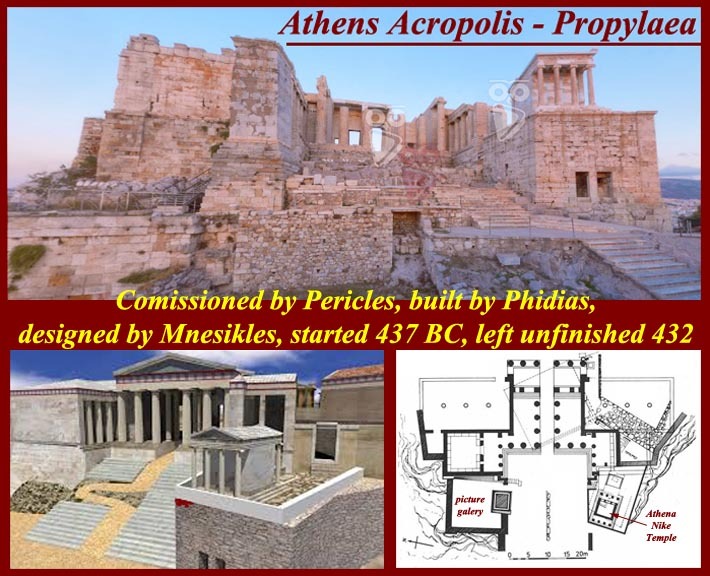 Classical Greek Architecture is usually defined as Greek architecture as it developed in the 5th century BC, and more specifically with the rebuilding of Athens after it was sacked by Xerxes and his Persians in the invasion of 480 BC. 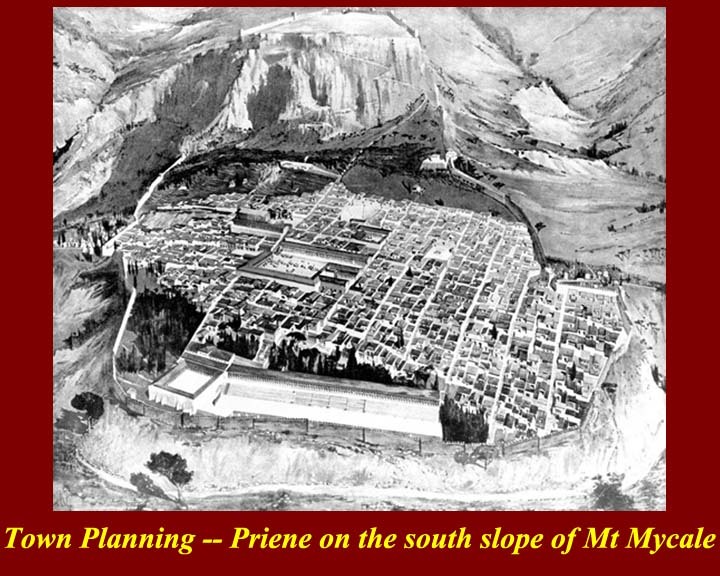 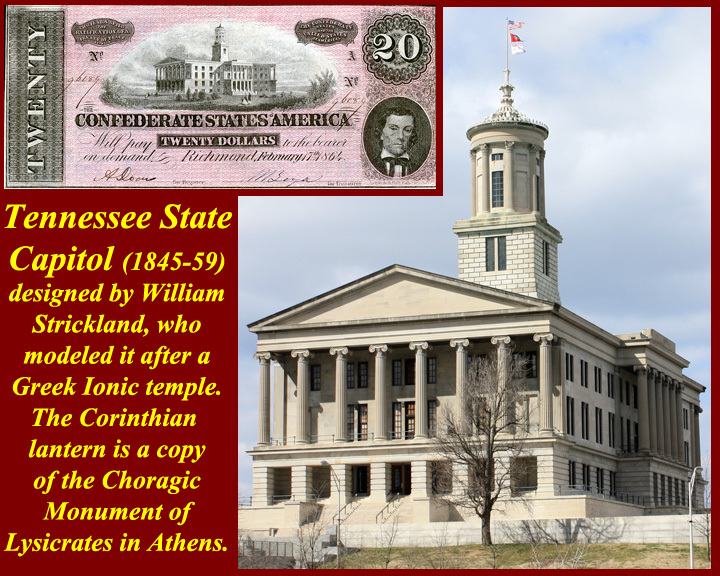 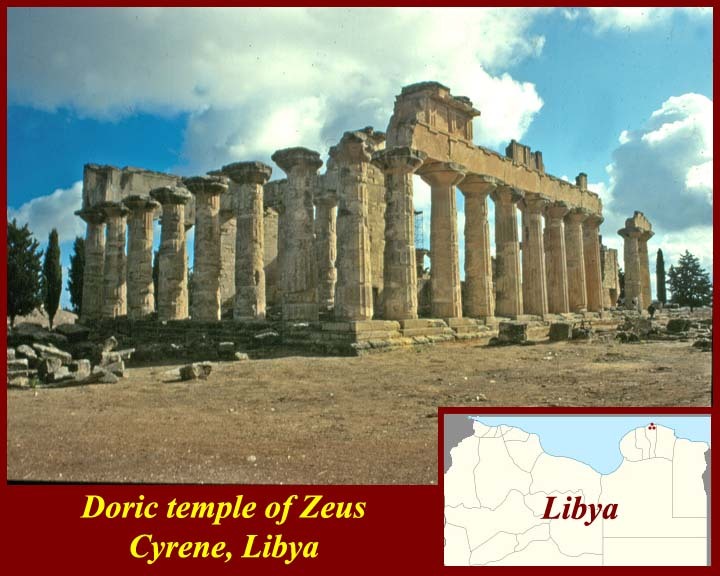 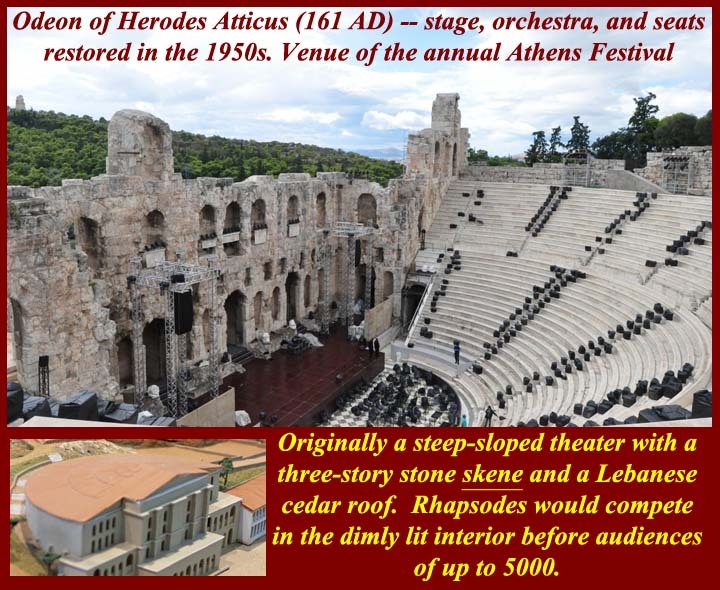 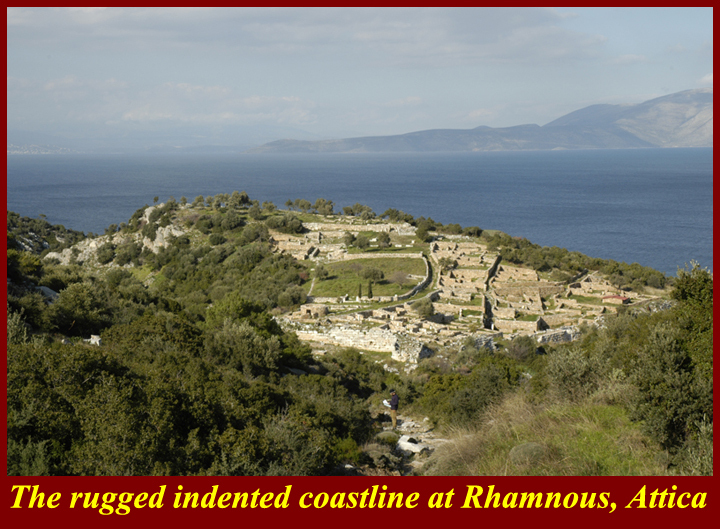 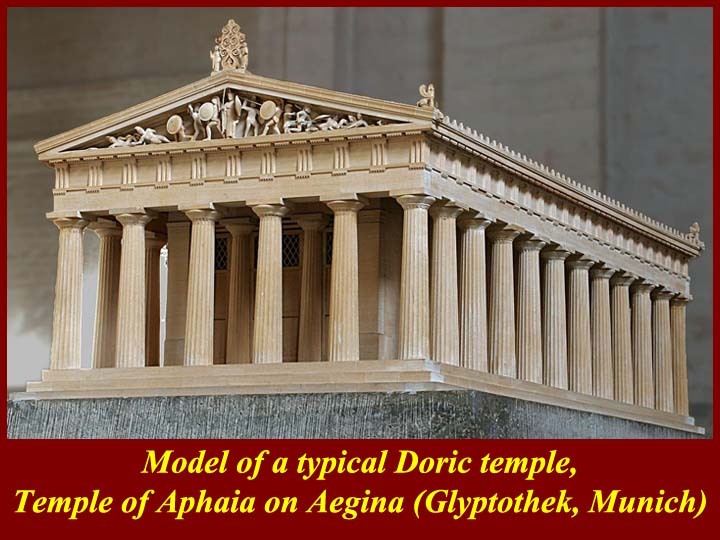 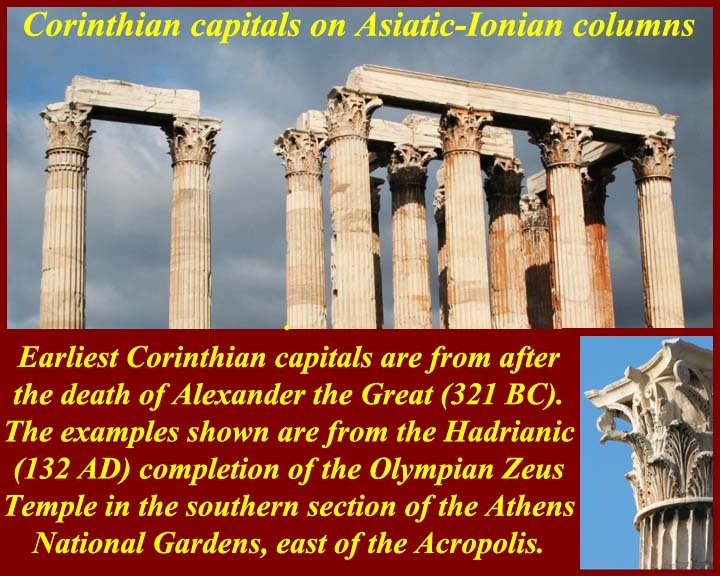 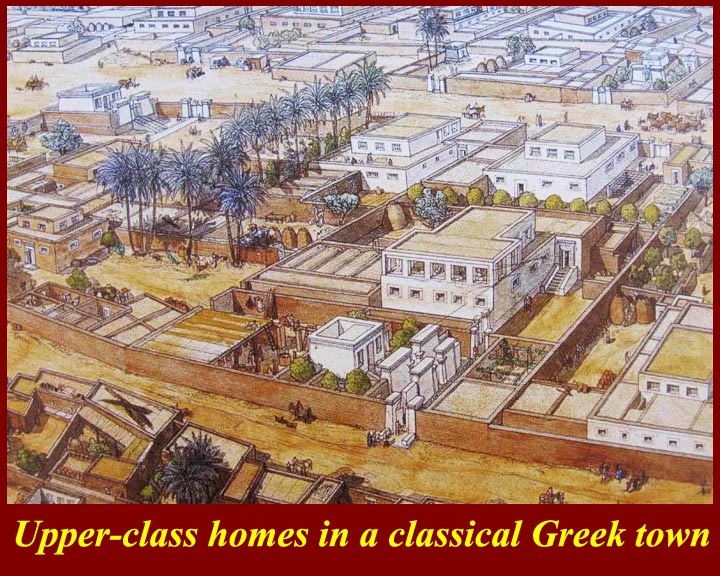 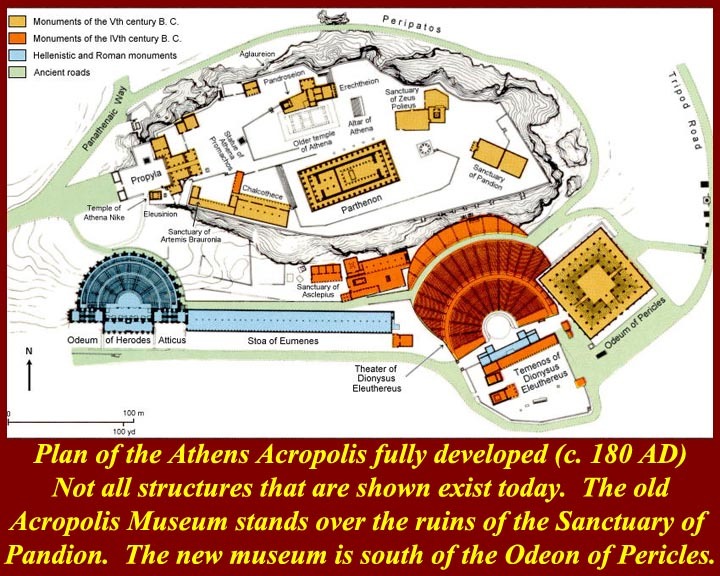 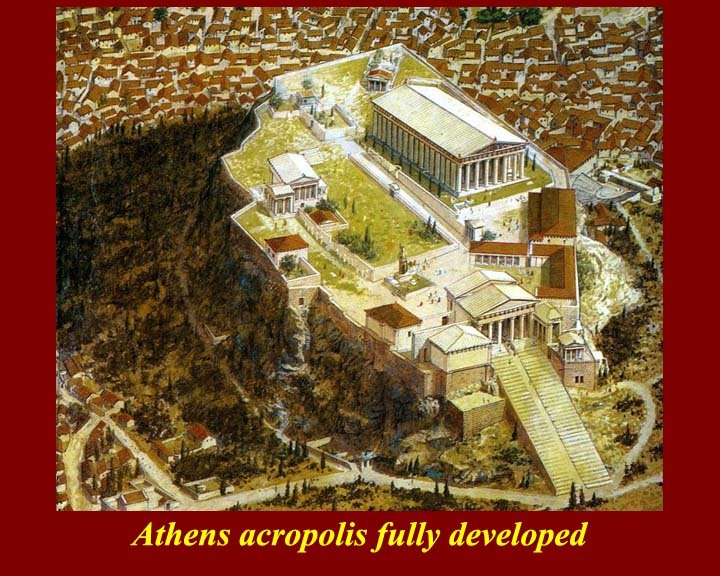 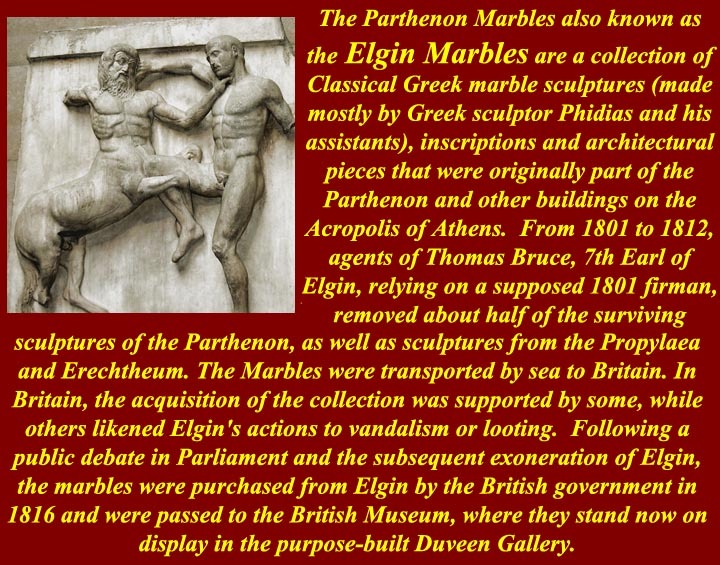 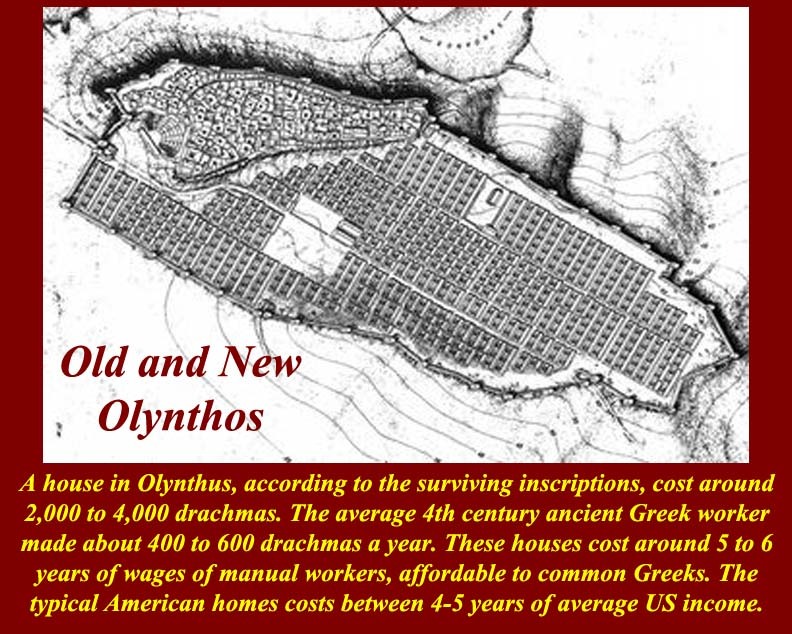 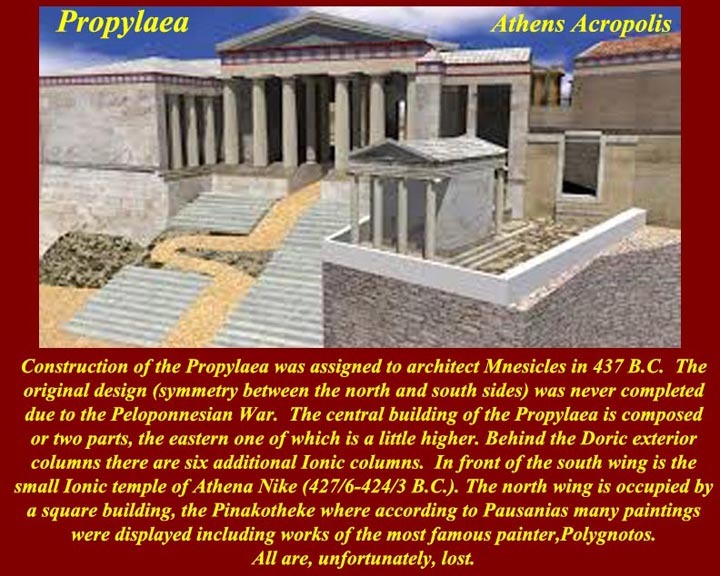 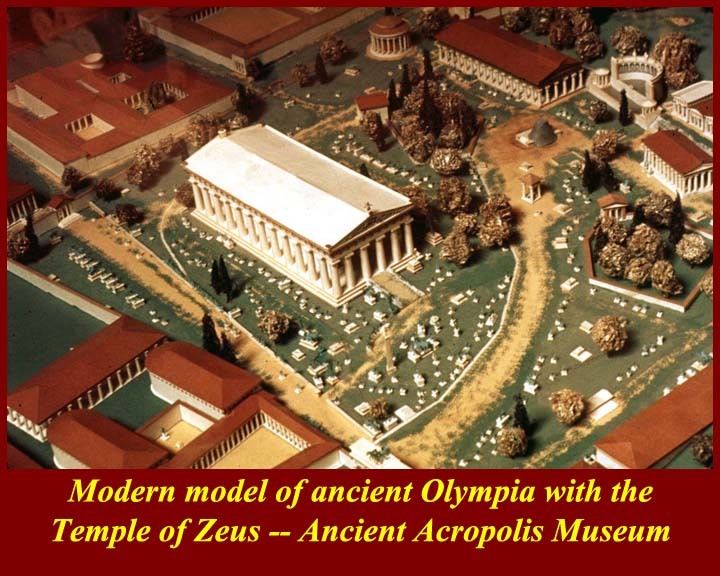 There is some slippage in the definition; examples of the same kind of architecture existed before that date, but many were modified, rebuilt, expanded, and aggrandized during the spending splurge that accompanied the rise of Athens, which was spending money misappropriated from the Delian League. 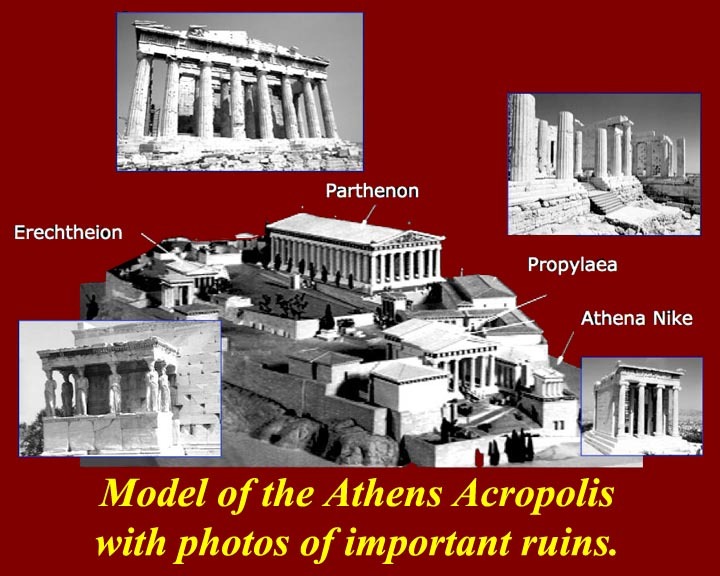 Most of what we see today (often just as ruins, but some sites remarkably well preserved) started after the Persian Wars. 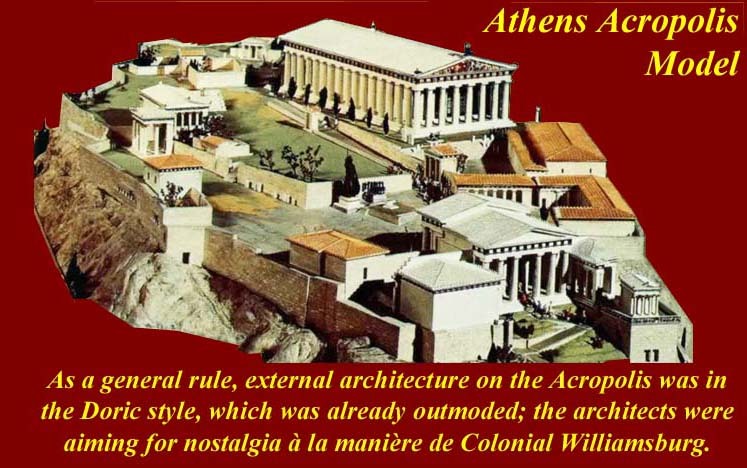 There is even more slippage on the more recent end of "Classical" architecture. 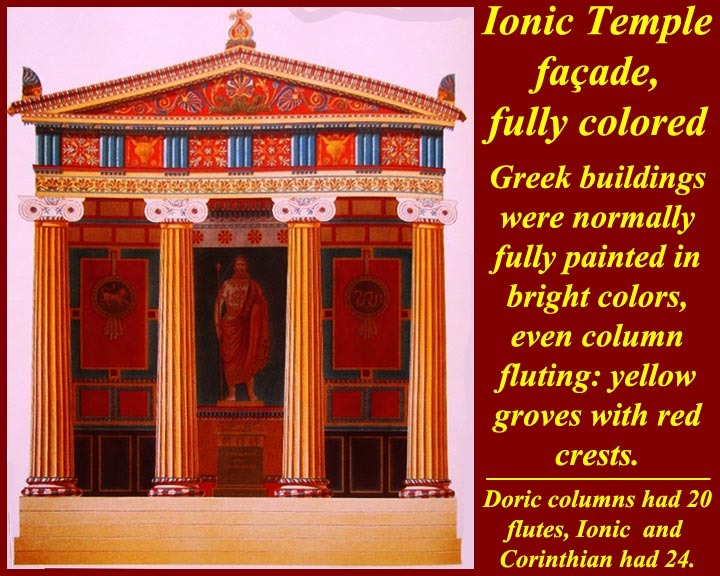 The tendency is to denominate also as classical anything that looks "classical", whether Classical Greek, later Greek, Hellenistic, Roman (Vitruvian De Architectura), or even some renaissance (Palladian I Quattro Libri dell'Architettura); it's all called "classical". 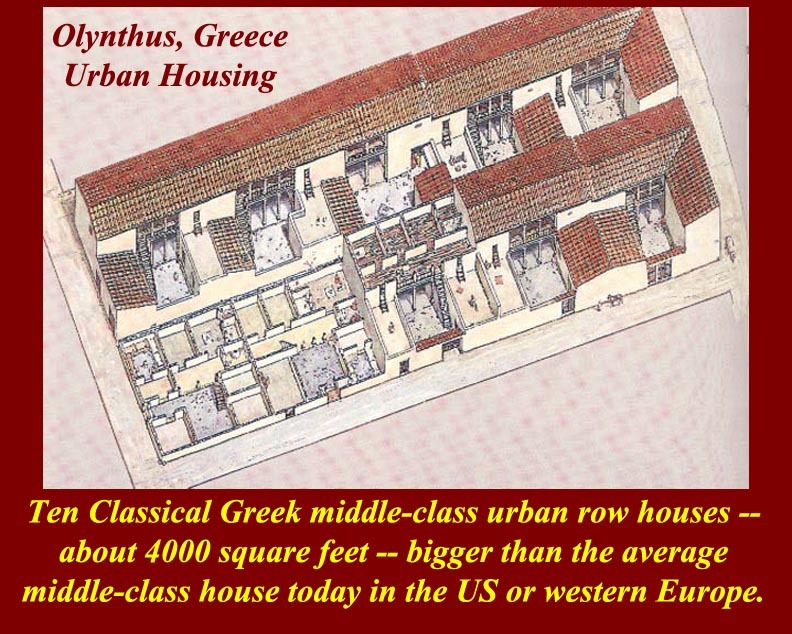 Look at our government buildings around Washington and in US state capitals and see "classical". 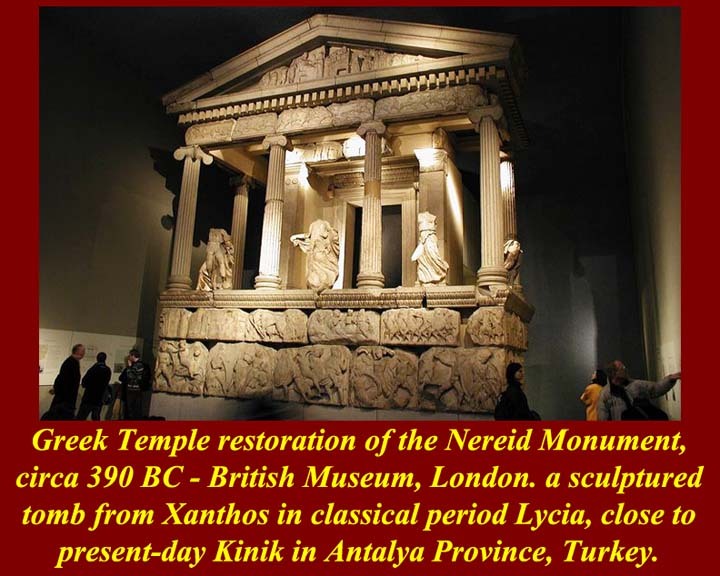 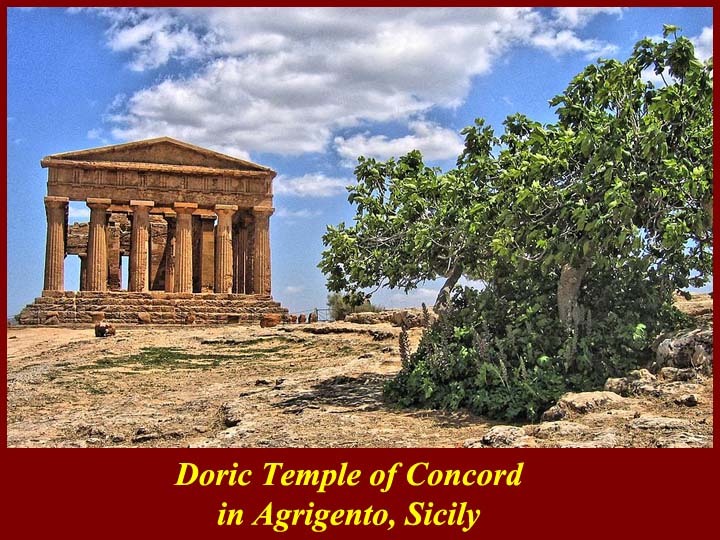 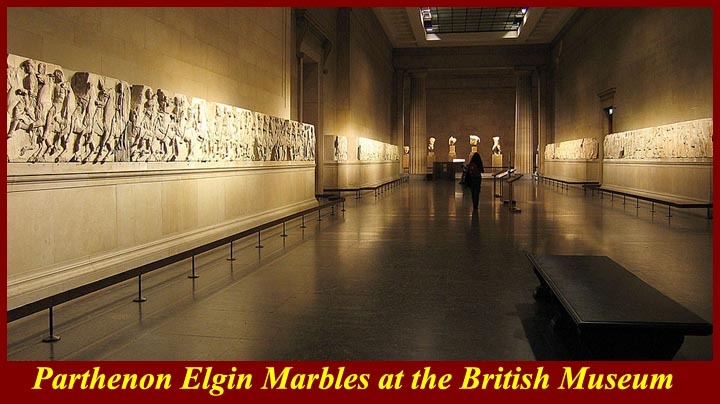 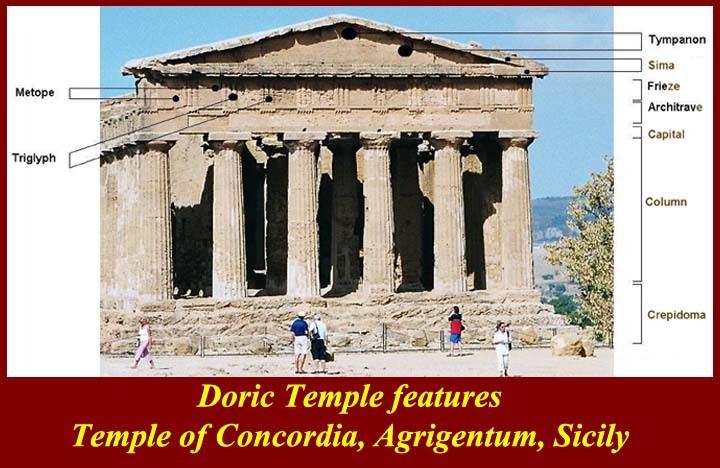 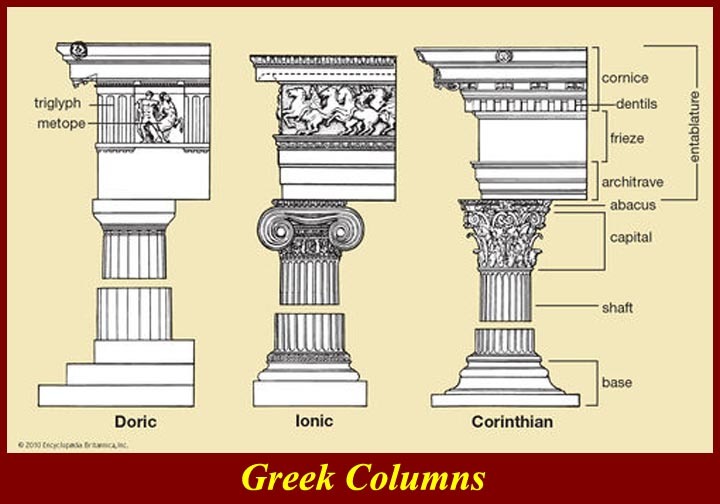 On this page we'll try to stick to architecture from the Classical Greek period and architecture actually in Greece or its classical correspondents/colonies. 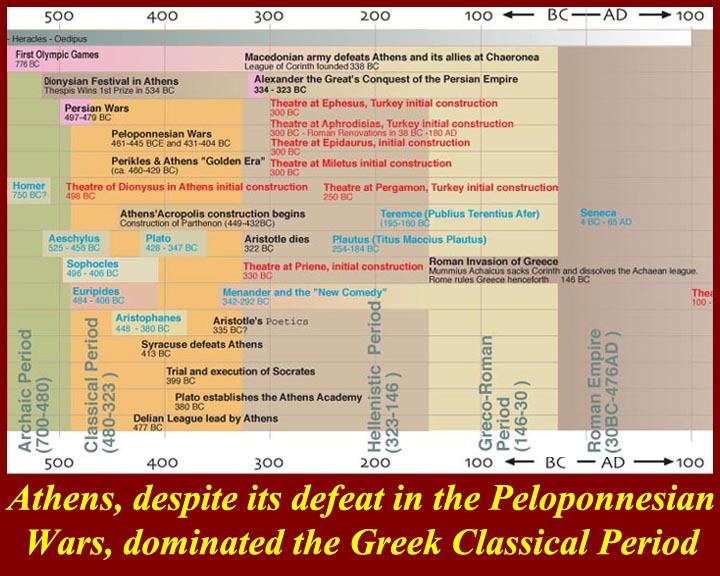 Athens was defeated in the Peloponnesian Wars (461-445 and 431-404 BC) but by 396 had recovered and again dominated Greece. 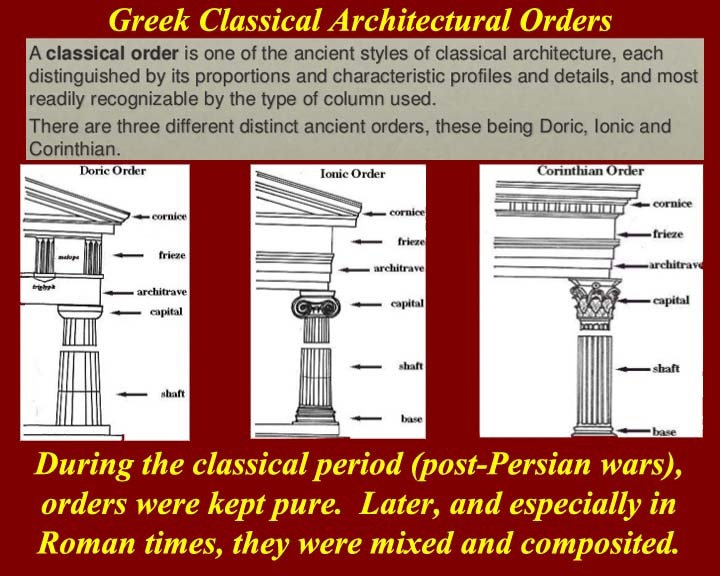 (A later unit will cover the Wars and their immediate aftermath). 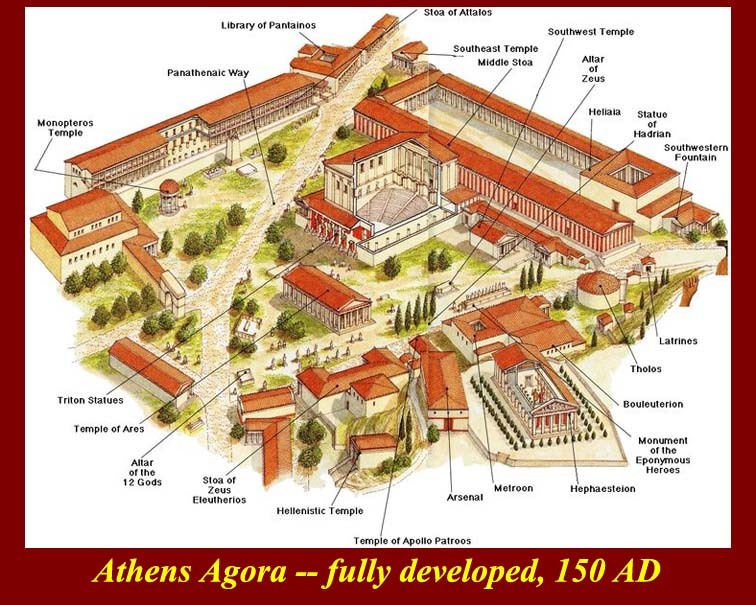 Even during the wars against Sparta, Athens led culturally and artistically, producing great dramatists, philosophers, sculptors, artists, and architects and builders. 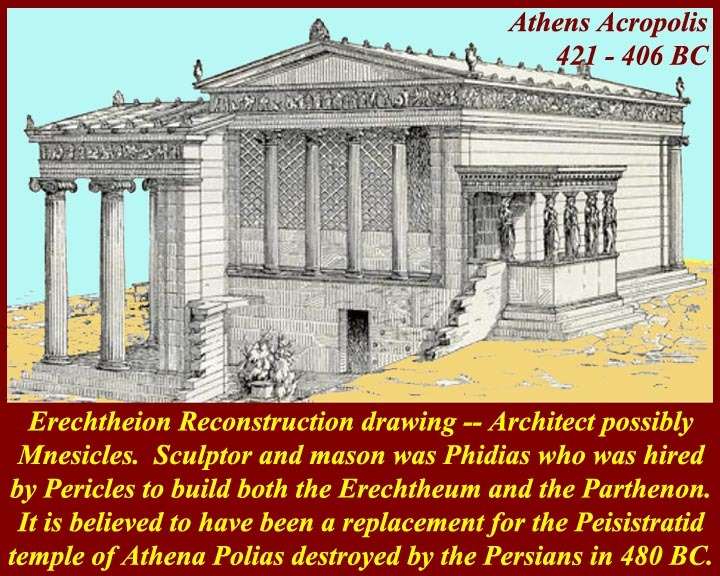 The product of the architects and builders is the subject of this unit. 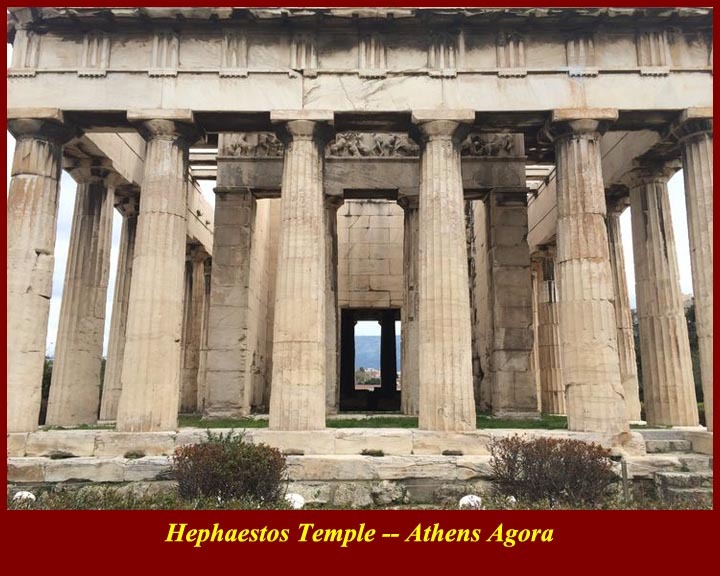 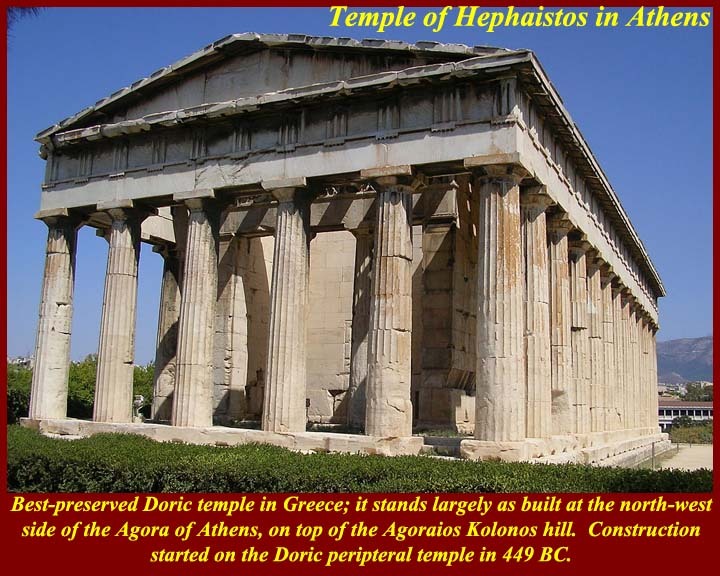 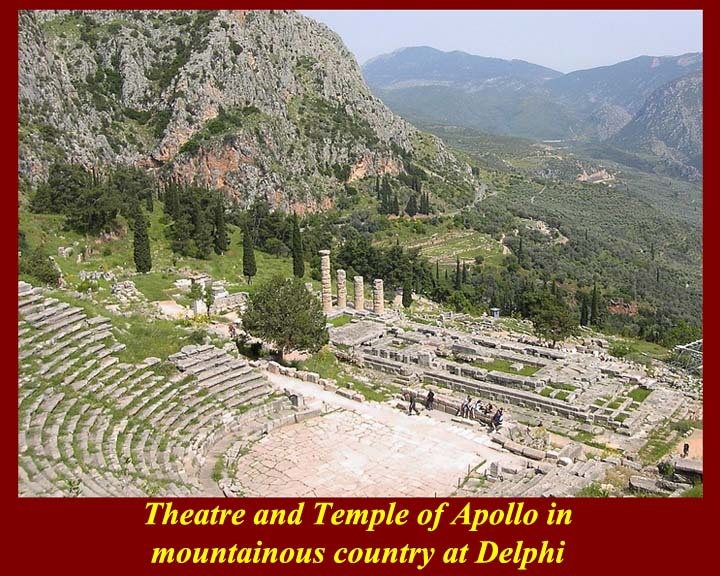 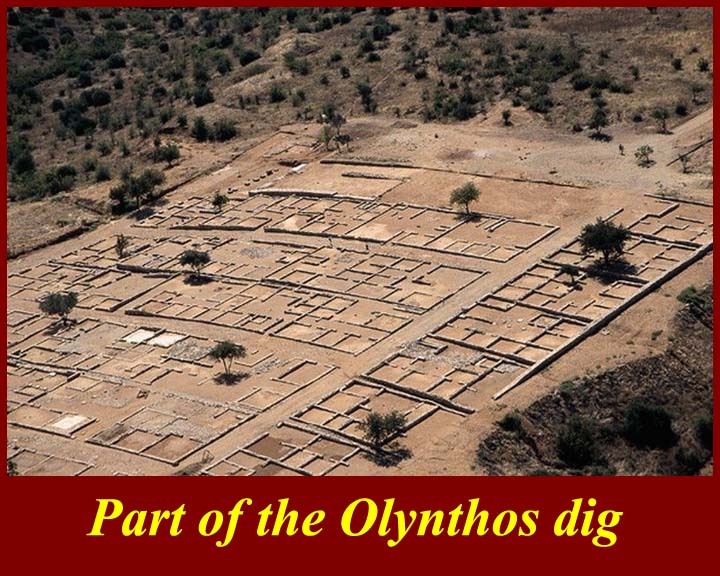 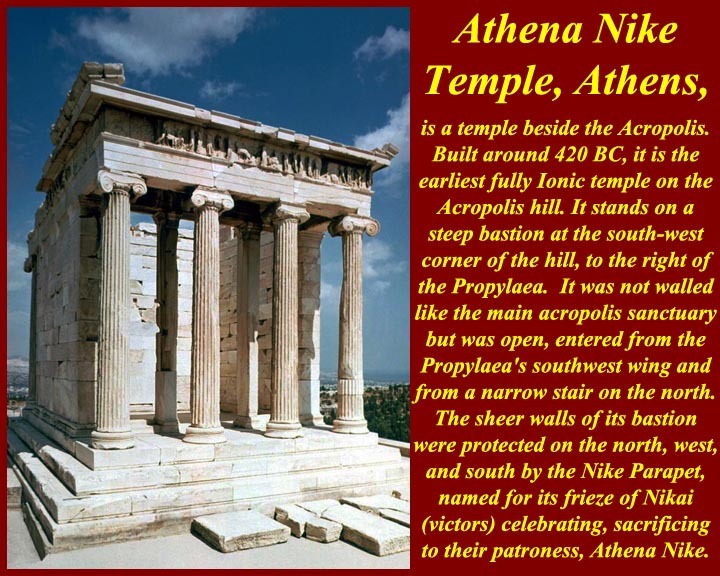 Because of its wealth, Athens was the major contributor to Classical Greek architecture, in the city of Athens itself, of course, but also in religious centers like Olympia and Delphi where Athenian donations, both from the Athenian polis and from individuals, played a large part. 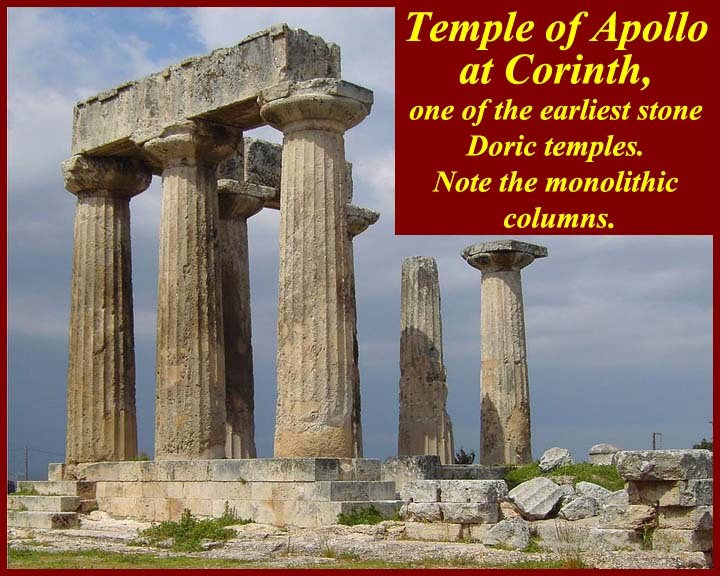 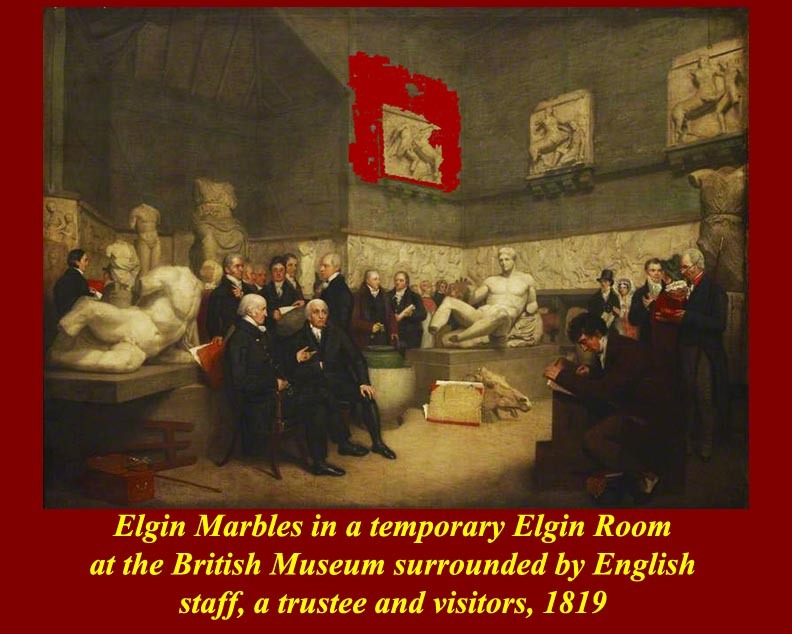 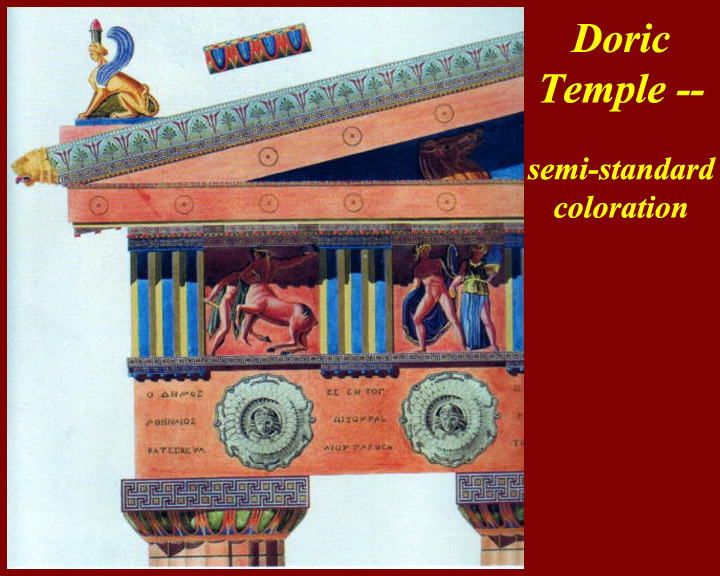 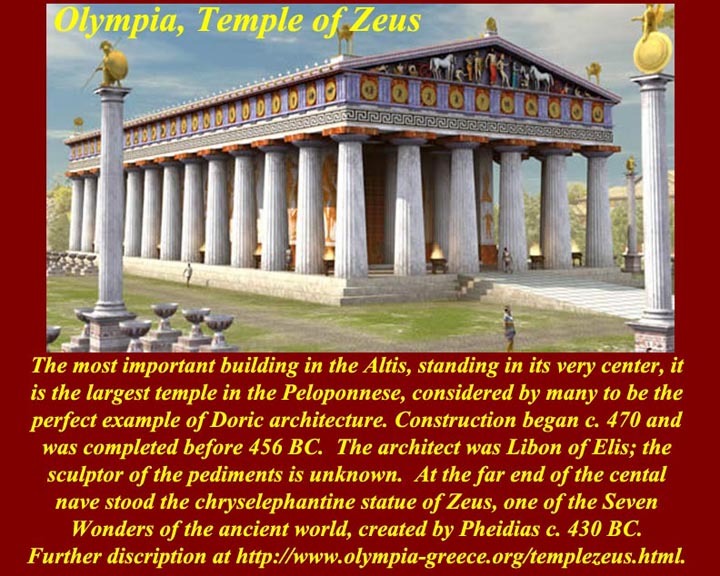 "Edification" originally meant, directly from Latin aedificationem (nominative aedificatio) (from aedis- = temple, abode + -ficare = make, build), "construction, the process of building a temple, a building, an edifice. 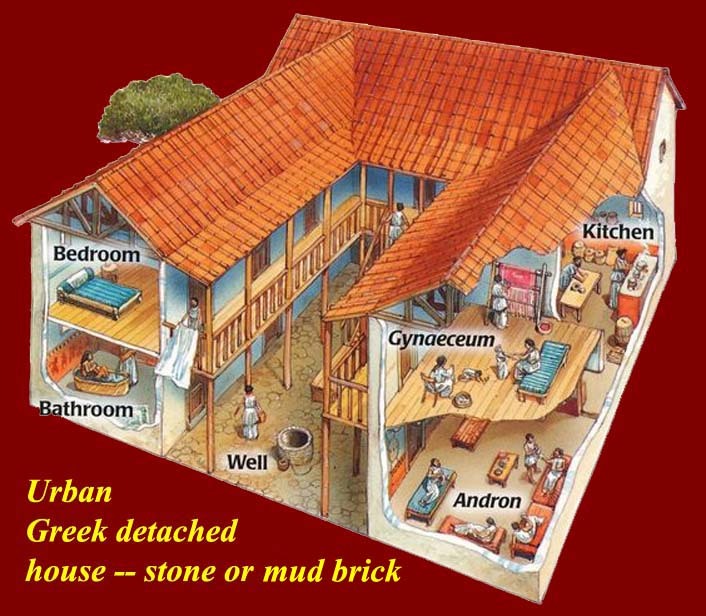 Although this literal sense of "the act of building" is still used in French, it is rare in modern English. 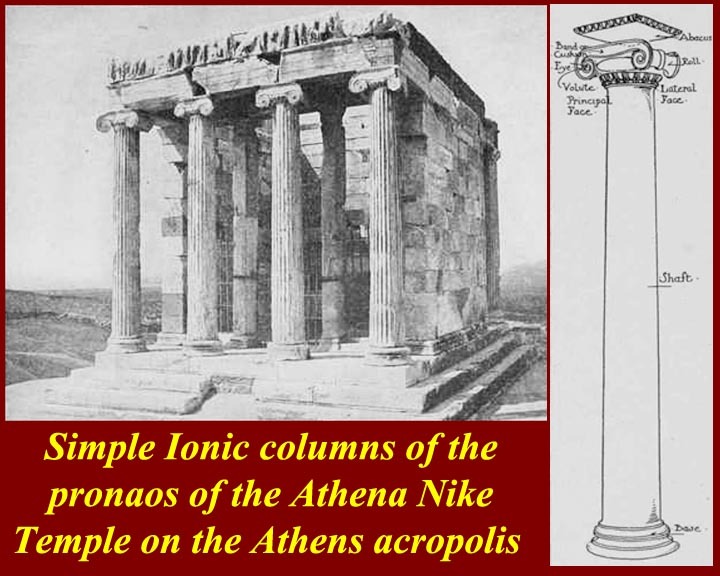 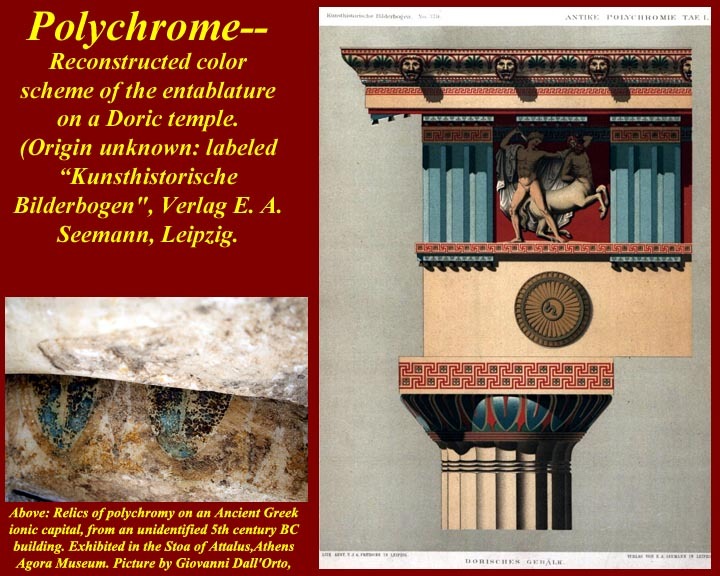 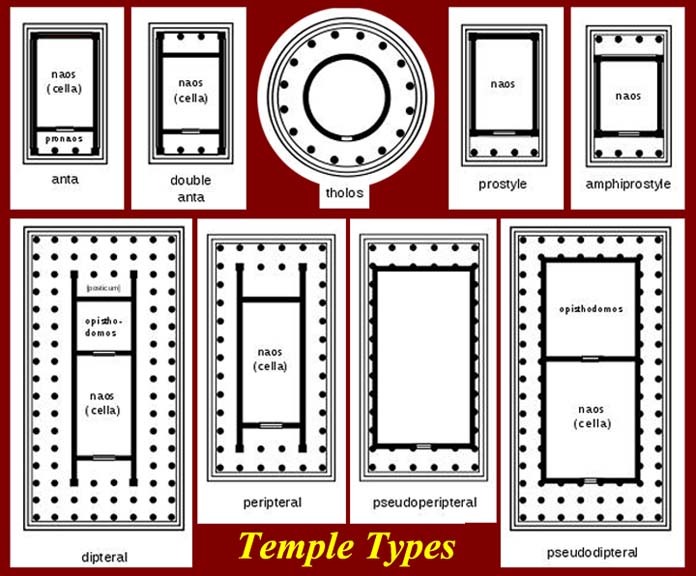 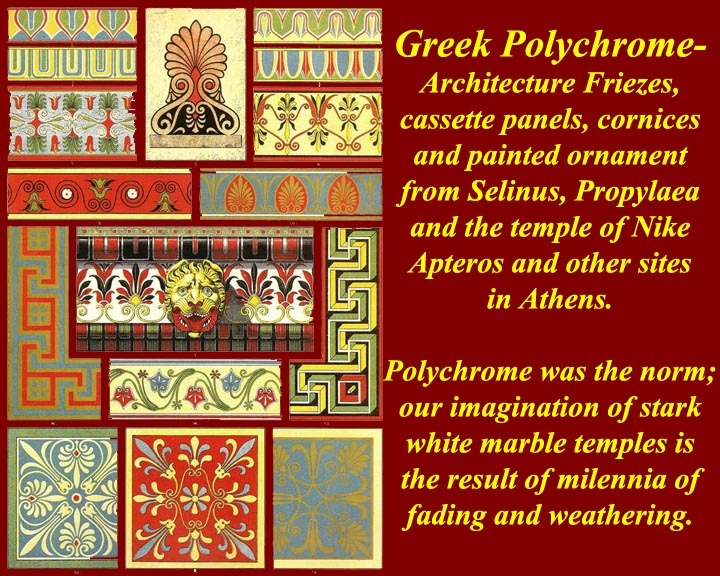 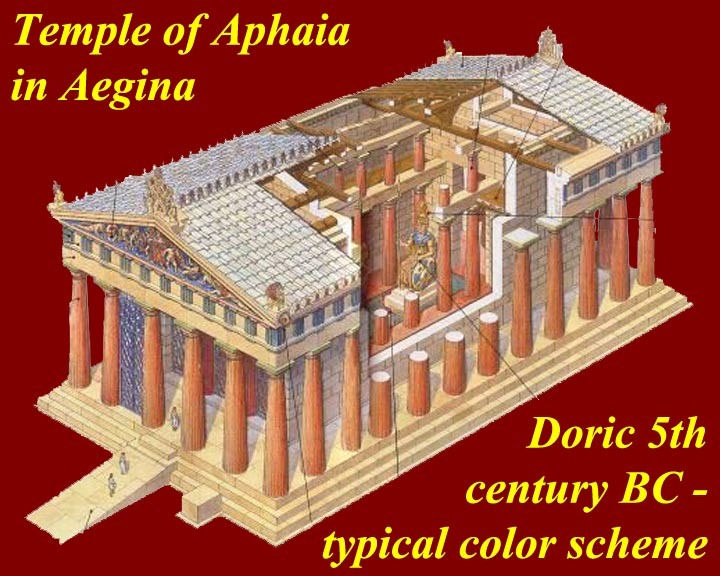 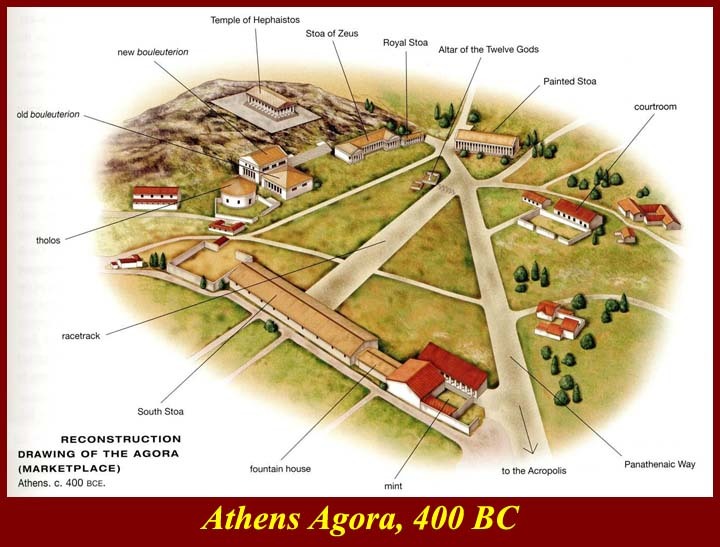 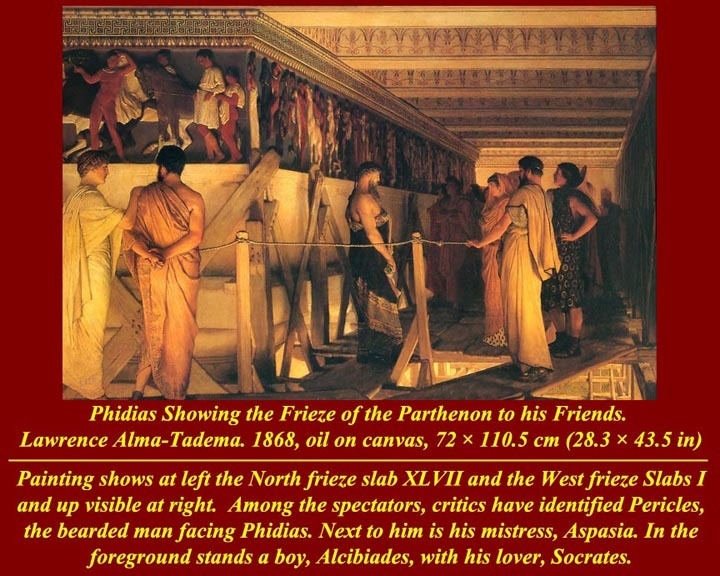 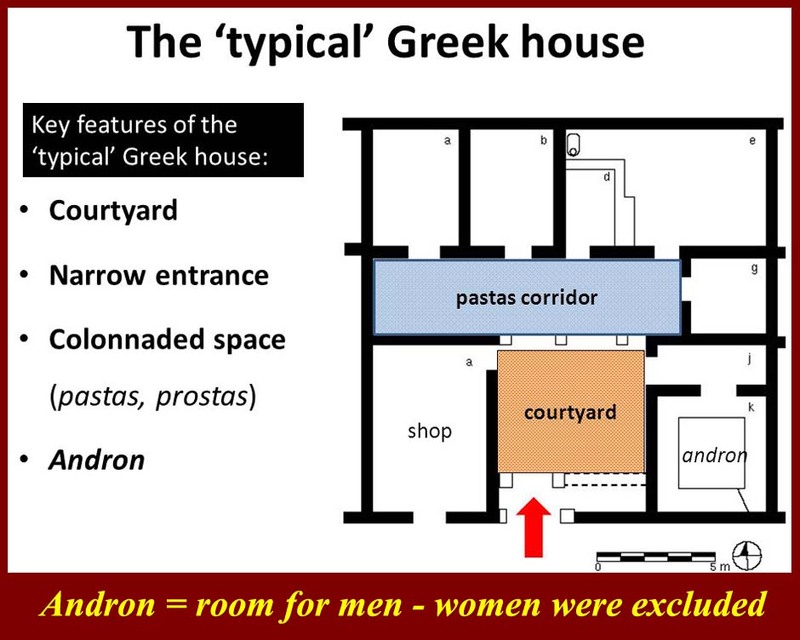 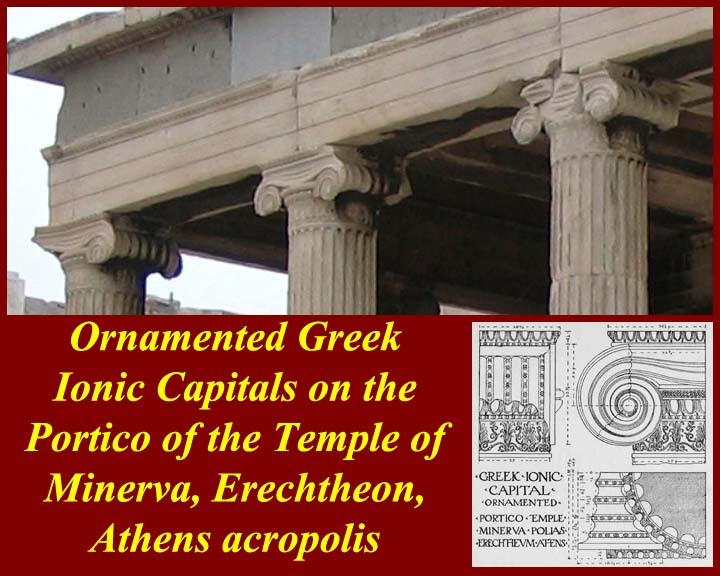 "Architect" and "architecture" are derived from Greek arkhitekton "master builder, director of works," from arkhi- "chief" + tekton "builder, carpenter"
"Propylaea" simply means "the stuff in front of the gate", the actual gate being the last row of six columns at the top of the diagram above. 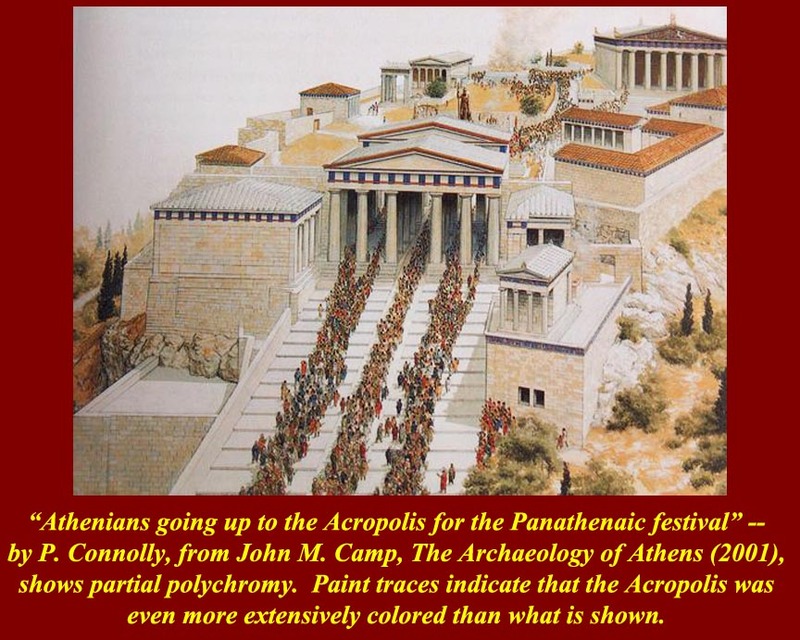 The Panathenic procession goes through the Propylaea and onto the Acropolis. 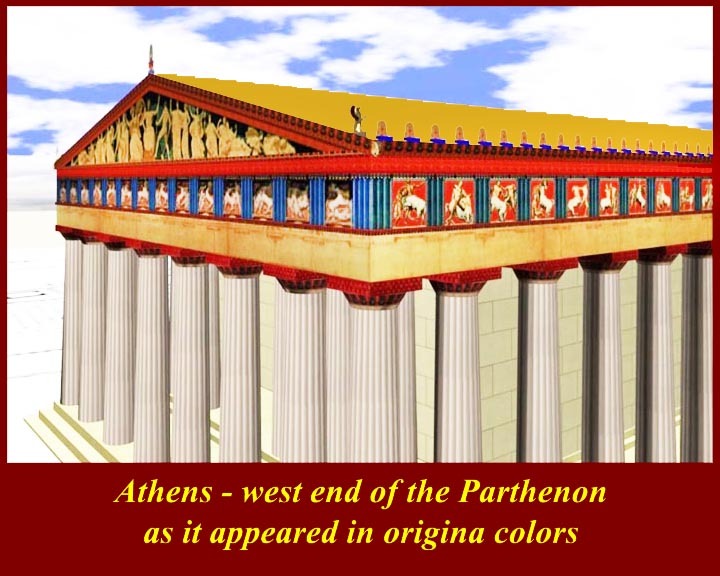 The procession route followed the Panathenaic Way, which was named after the procession that took place during the festival of the Panathenaia. 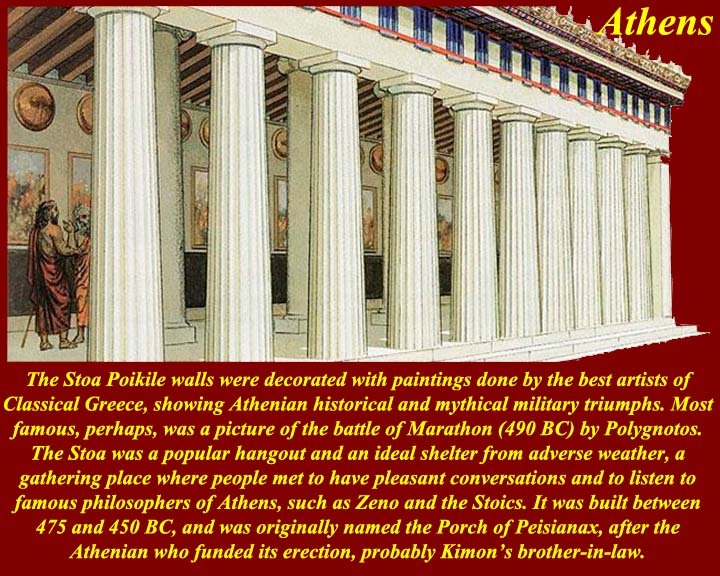 This festival was celebrated once every year and started on Athena's birthday and the anniversary of the battle between the gods and giants. 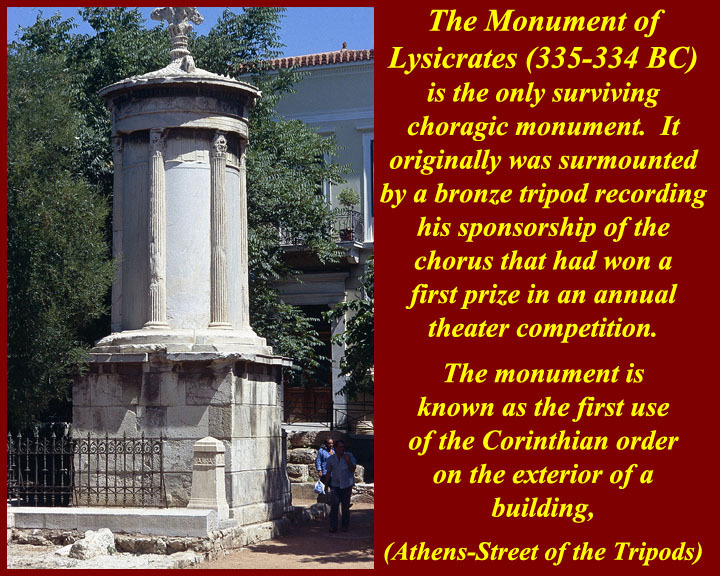 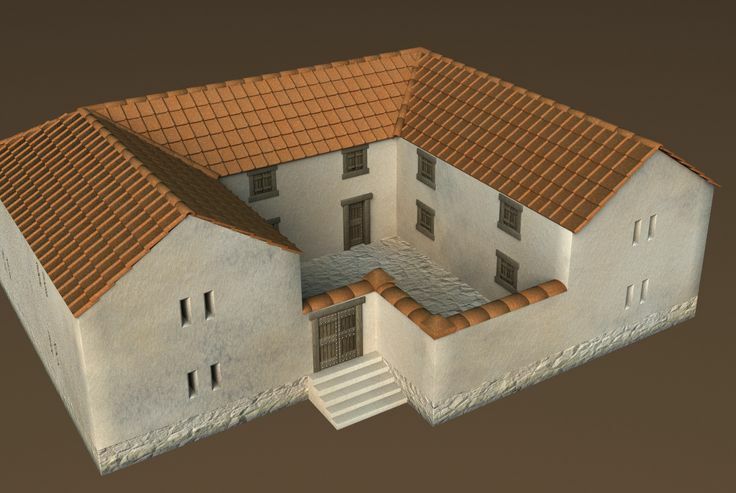 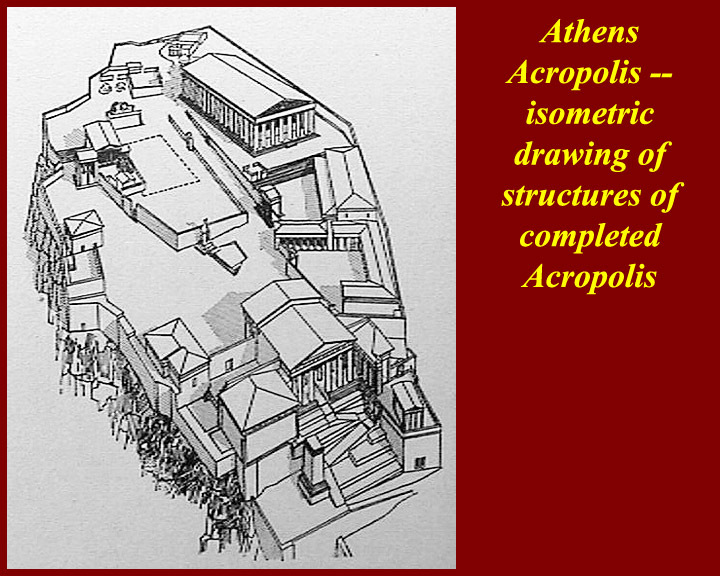 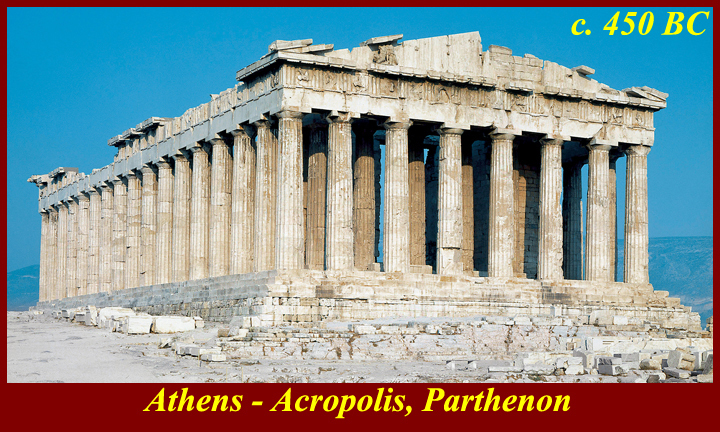 It wound its way from one of the city gates through the market place towards the Acropolis and the Propylaea. 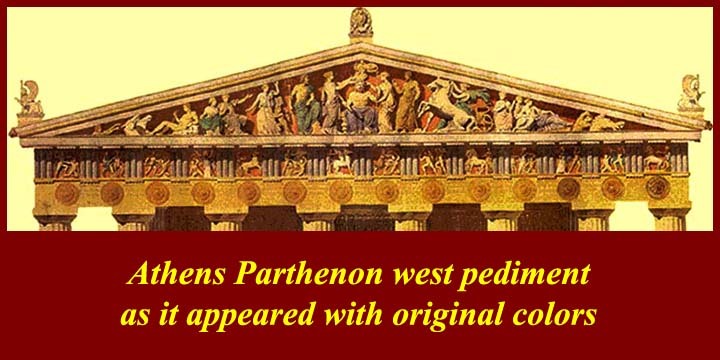 The procession passed the north side of the Parthenon before stopping at the altar of Athena. 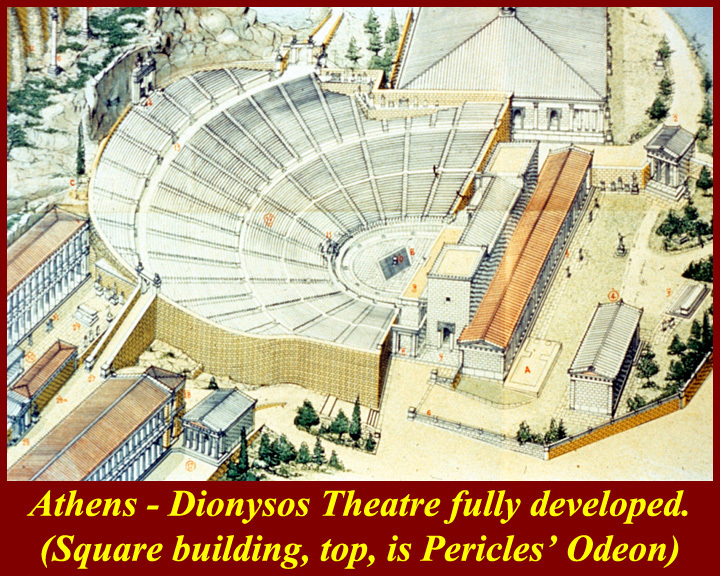 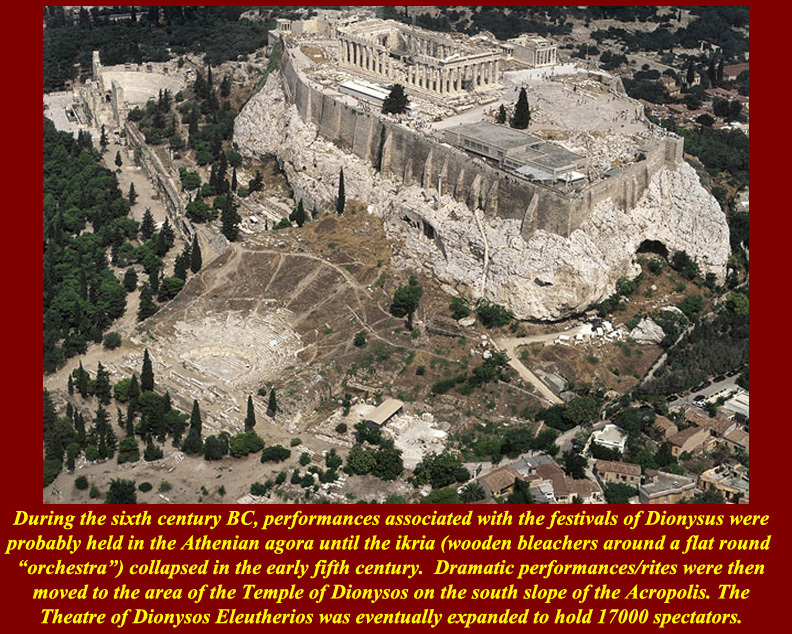 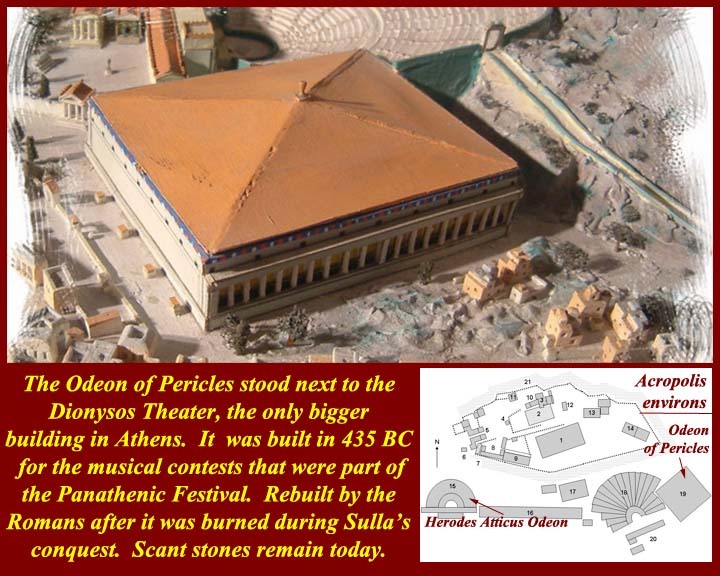 The Panathenaea was the most important festival of Athenss and one of the grandest in the entire Greek world. 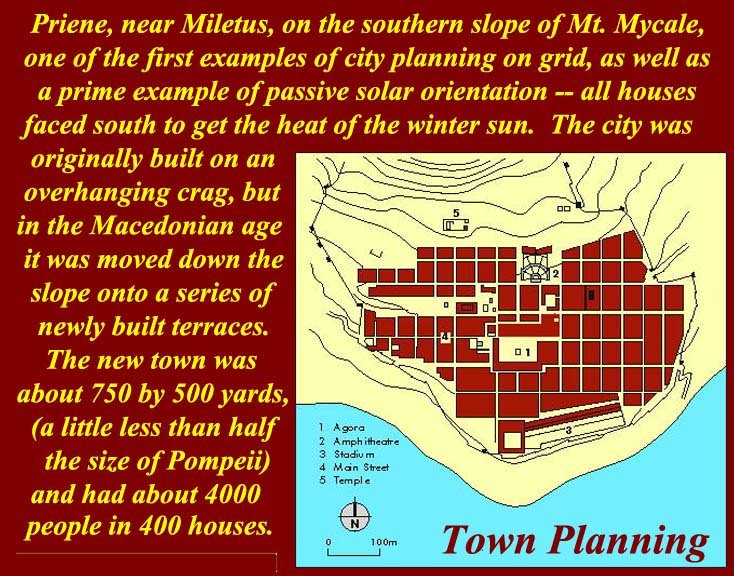 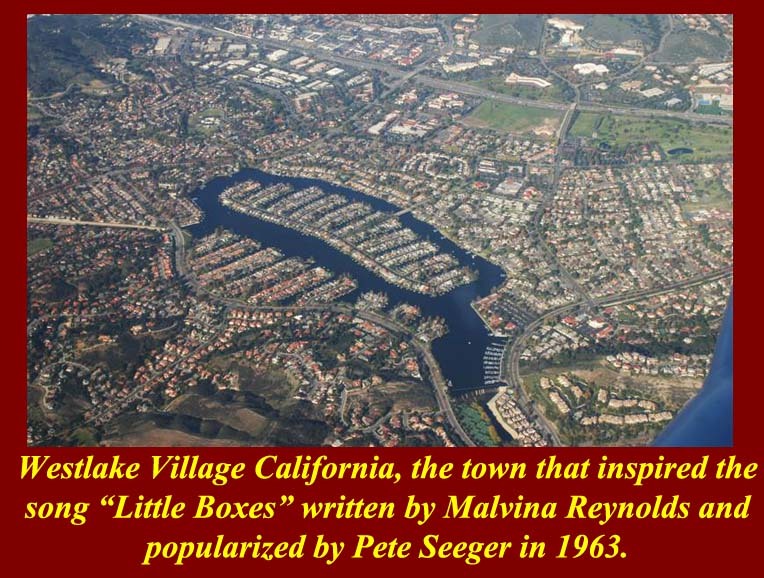 Except for slaves, all inhabitants of the city and suburbs could take part in the festival. 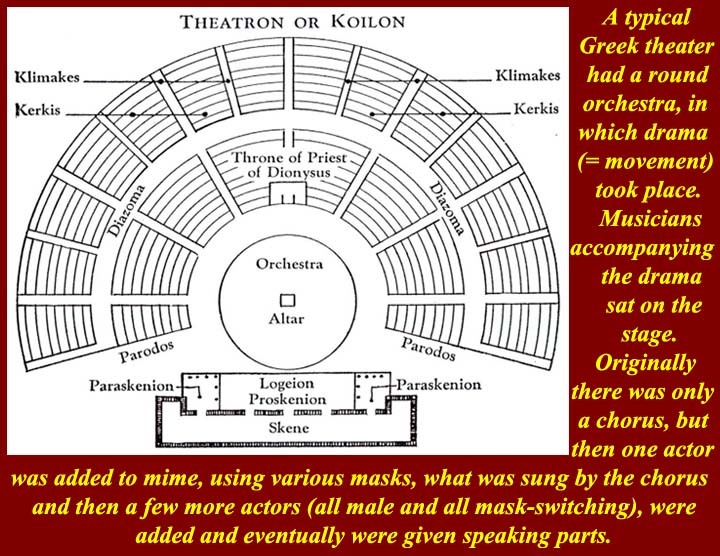 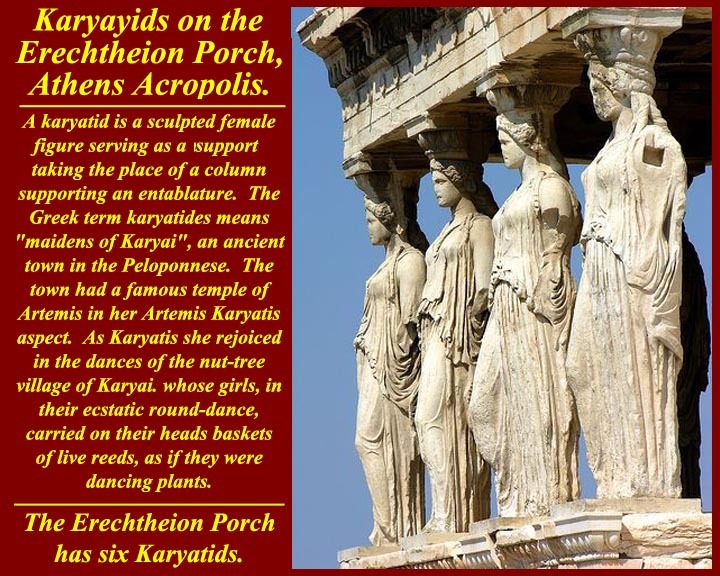 The Panathenaea was one of those occasions when women could get out of the house and take an active role in a public function. 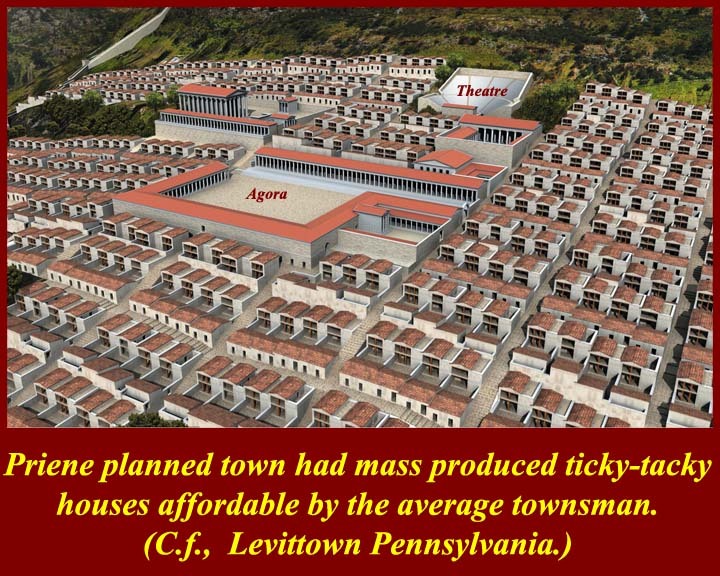 Even metics (resident aliens) and freed slaves could participate up to a certain point. 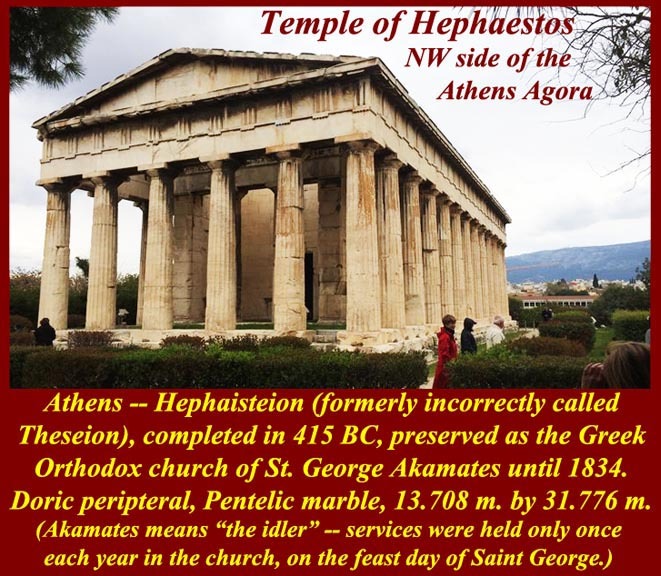 The holiday fell on the 28th day of the month called Hekatombaion (= 100 blood sacrifices), roughly equivalent to last half of July and first half of August, and the first month of the Athenian year. 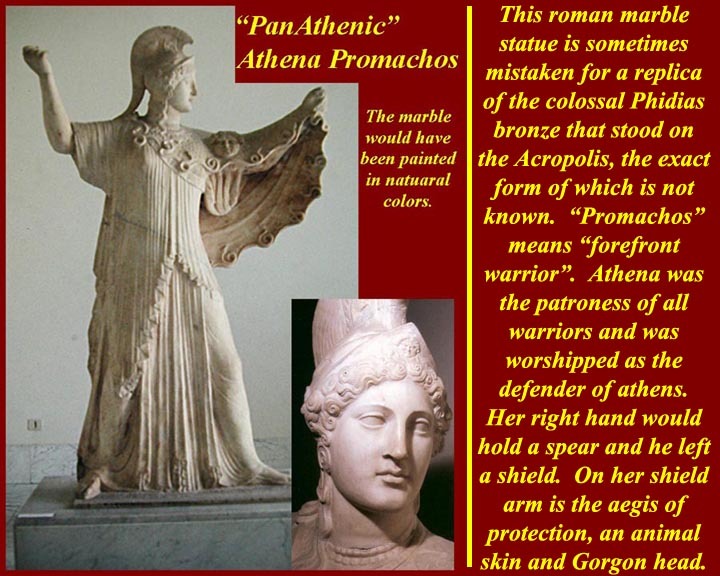 This holiday was believed to be an observance of Athena's birthday and honored the goddess as the city's patron/protector, Athena Polias ('Athena of the city'). 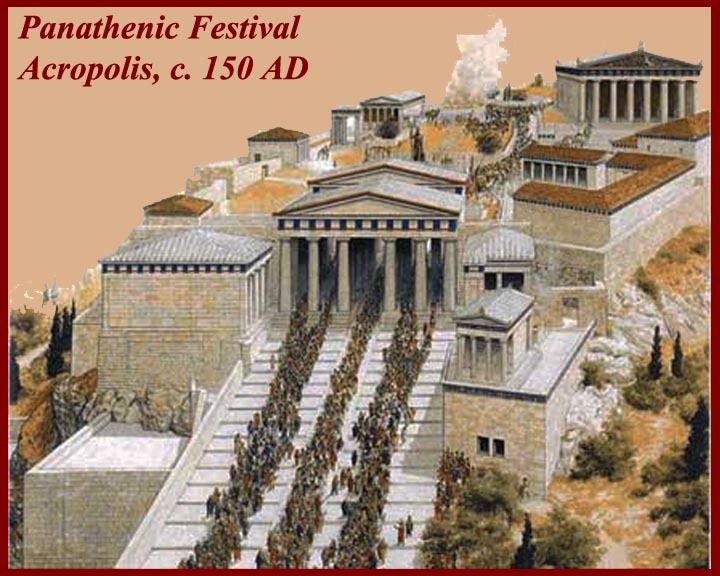 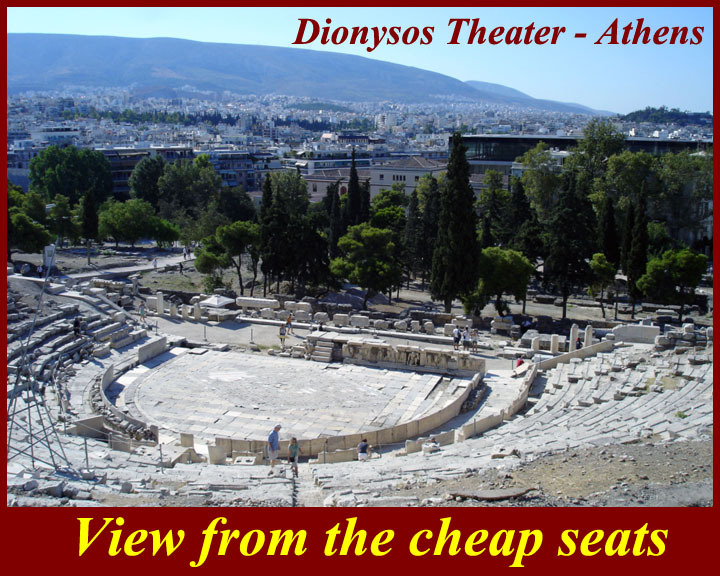 In 566 BC, at the initiative of Pisistratus (soon to become tyrant of Athens), this festival was extended every fourth year over a number of days with many public events (Great Panathenaea), which lasted for a number of days. 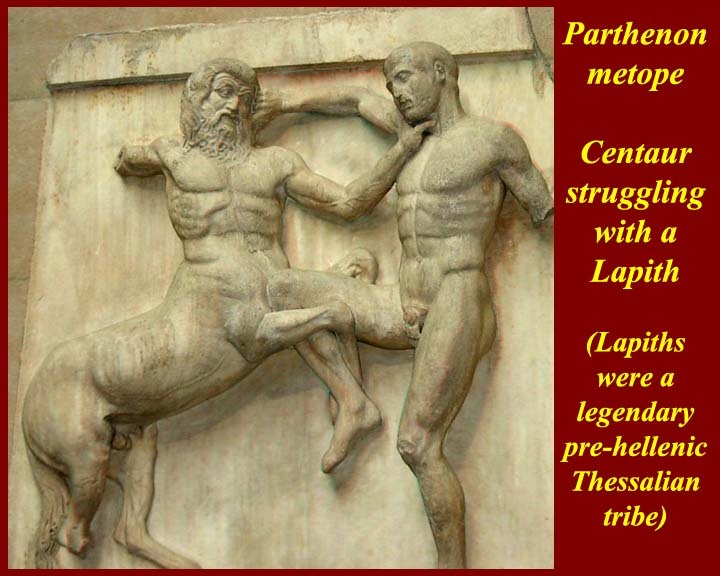 It consisted of three general elements: contests, procession, and sacrifices. 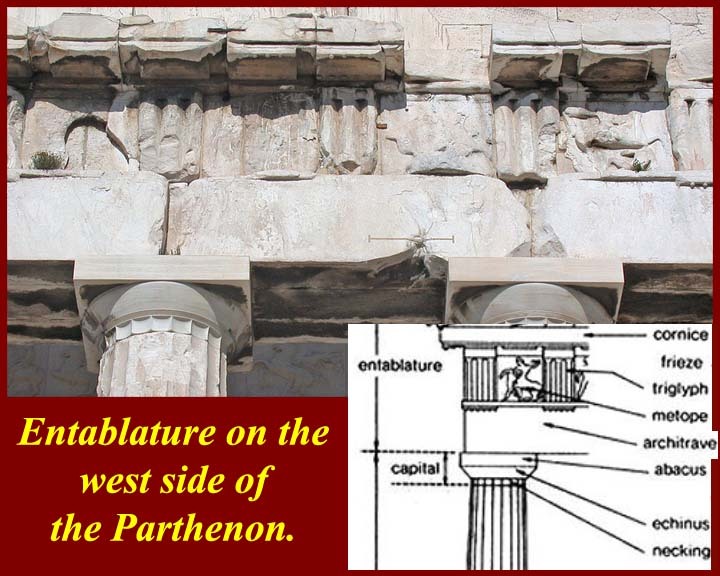 The western end of the Parthenon, which is the end first seen on entering through the propylaea, is actually the back side of the Parthenon. 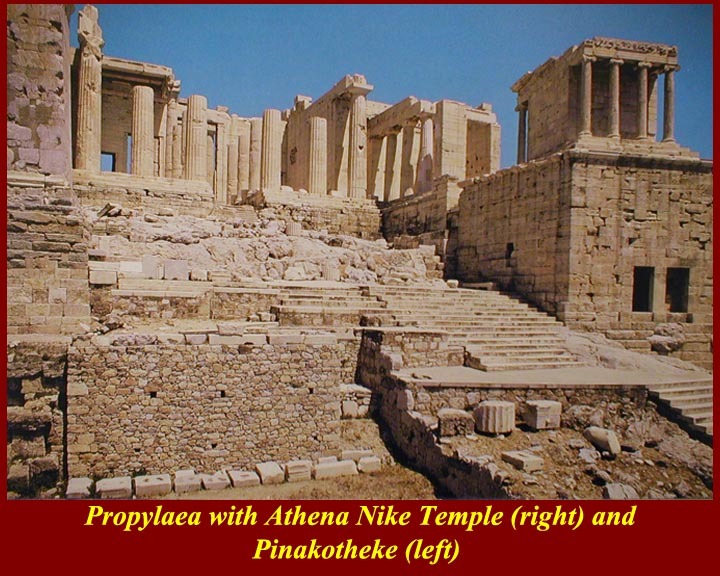 The Panathenic procession passed the north side (the long side that is visible in the image) to the altar of Athena Promachos off the north east corner of the Parthenon where the sacrifices were carried out. 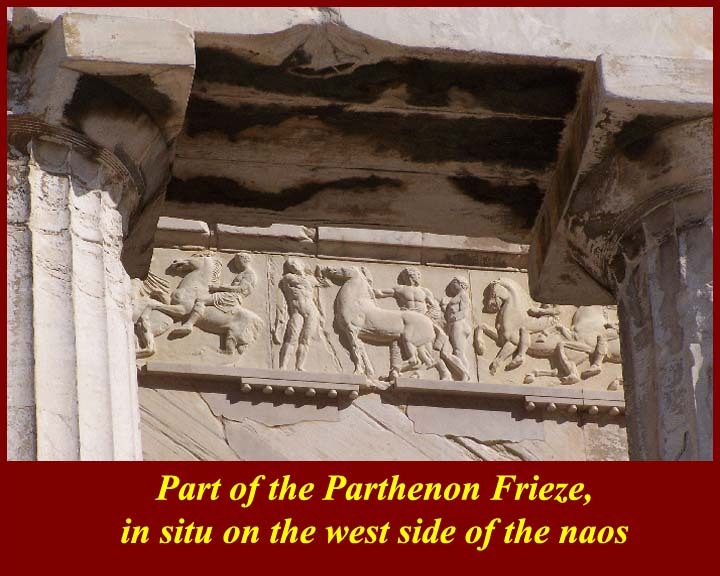 After the sacrifices, a favored few priests and officials were able to enter the Parthenon. 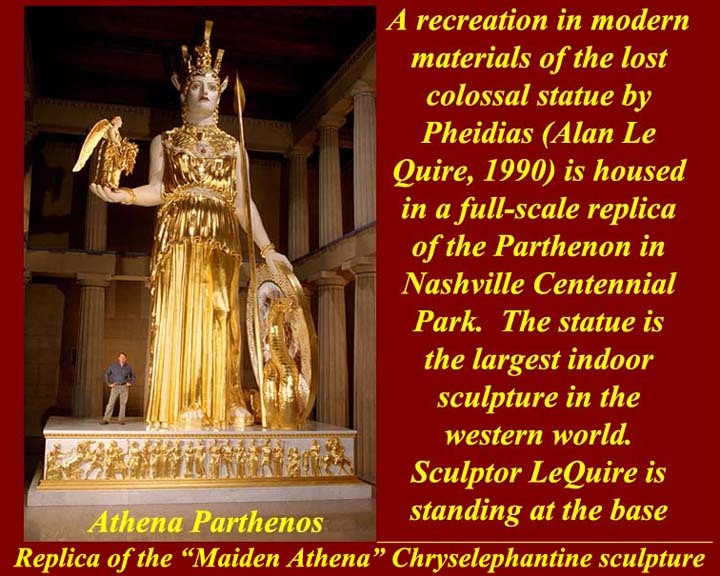 Everyone else had to be content with a view of the thirteen meter high chryselephantine (= gold and ivory) cult statue of Athena Parthenos (i.e., the young maiden) through the eastern door of the Parthenaon. 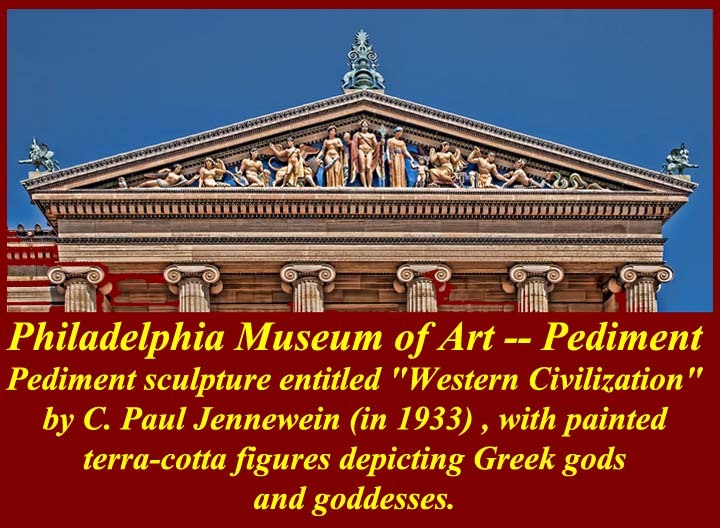 as was nuduty -- a problem for some of Philadelphia's city fathers and mothers. 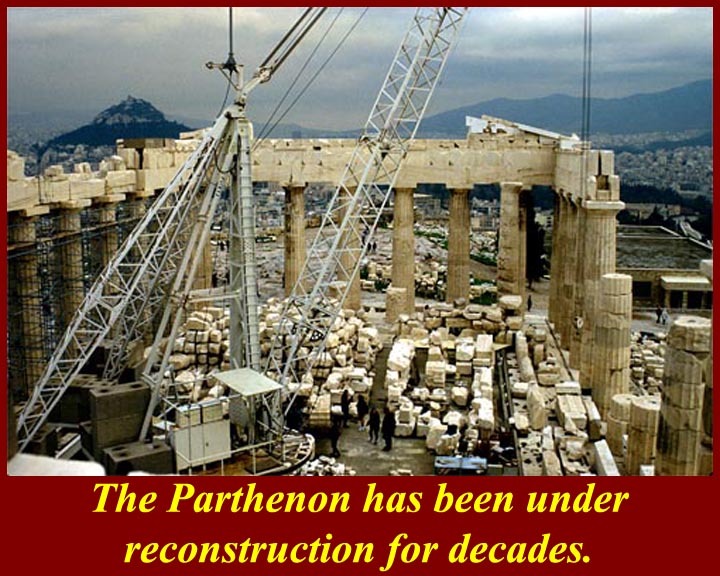 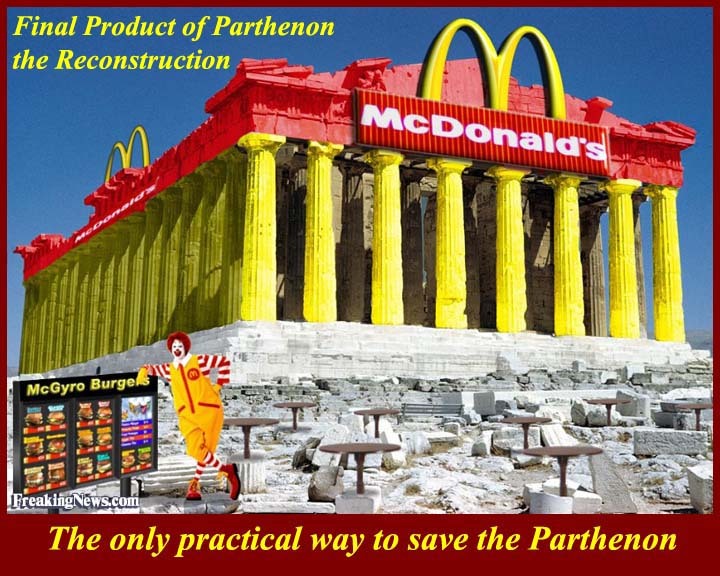 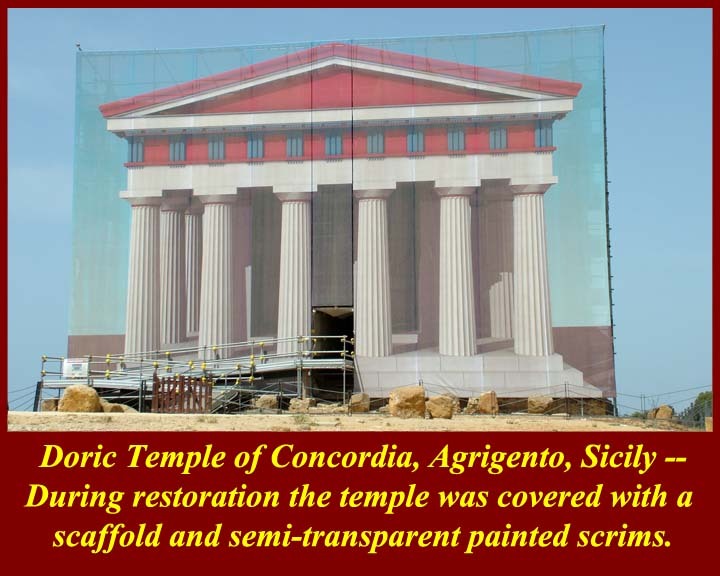 Atempts to shore up and restore the Parhenon and other Greek temple have been under way for at least 30 years with a combination of public, corporate, and private financing. 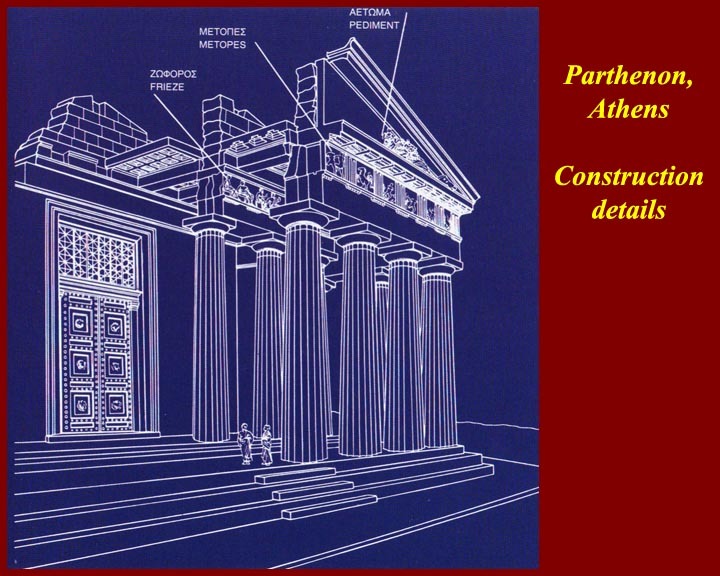 Detailed blueprints have been made and are constantly updated as new construction details are discovered.